Are you already established on Instagram? Have you already created a following for your brand? Is the thought of trying to use another social media platform a bit too daunting? Well luckily for you Instagram’s latest new feature now allows you to post images and videos in chronological order to tell a ‘story’, direct to your followers’ homepages, just like Snapchat. This is great for brands that are already comfortable using Instagram, or those not wanting to waste time acquiring followers on a new platform. For business owners looking to expand their reach and influence through this platform, understanding the ins and outs is essential to success. Instagram stories create vast opportunities for brands to use images and videos in a way that really will benefit them. 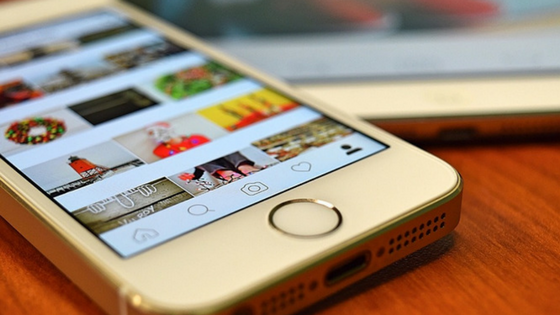 Just like Snapchat, your Instagram story is only available to be viewed for a 24-hour period; this in itself provides an edge for your business. The time restriction on the post allows for a sense of urgency and exclusivity; perfect for any one-off offers or discounts you may want to promote in this way. It’s an opportunity to give your followers a sense of ‘inside information,’ to take a look behind the scenes of what’s going on in your day to day business life, but most importantly it allows your customer to get to know your brand on a more personal level. This is not to say that you should use your story to show what’s going on in your personal life; keep it concentrated on the business. Use brand colours and things familiar to your brand in order to keep a sense of professionalism and to maintain a consistent message. The way in which companies will really thrive from Instagram stories is by taking advantage of the endless creativity aspects on offer. After taking a photo, video or even boomerang, or uploading a photo from your album (yes you can do this!) to use on your story, the ease of creating dynamic content is undeniable. With creativity tools such as filters, emojis, stickers, geotag locations, writing tools, colours, to only name a few, it is a great chance to use these to show who you are and what your brand is about. In our opinion, the more fun you make your posts, the more people will want to engage with them- simple! Instagram is an extremely useful tool for small businesses, giving a free platform to promote your brand and easily showcase products directly to your customer. Don’t just take it from us – with over 150 million Instagrammers (and growing) now using Instagram stories, this proves exactly how popular this platform is and will continue to be. The technicalities behind the benefits of an Instagram story rather than a Post or Snapchat for example, are simple. Firstly the instagram story appears at the top of the homepage allowing you and your business to be front and centre of your audience. Not only this, but Instagram is now showing relevant stories in the ‘Discover’ page, enabling extra reach to a larger audience – perfect! The beauty of an Instagram story is that users won’t have to worry about over-posting onto their profile and running the risk of annoying their customers, but instead allows you to take your viewers on a journey. (The best excuse for what we all want to do; post and promote often!) Whether this be showing your product in action, how the product is made or even celebrating a company achievement; people like to see ‘what’s going on,’ and stories are a really easy way of doing this. The possibilities of Instagram Stories are endless. All it needs is a little creativity and done well, you should discover impressive results. It shows that not only is your business knowledgeable about the latest trends on social media but that you’re also creative and flexible enough to apply these to your own business. Check out our Instagram Stories and Highlights! If you like what you see, learn how we can do the same for your business.